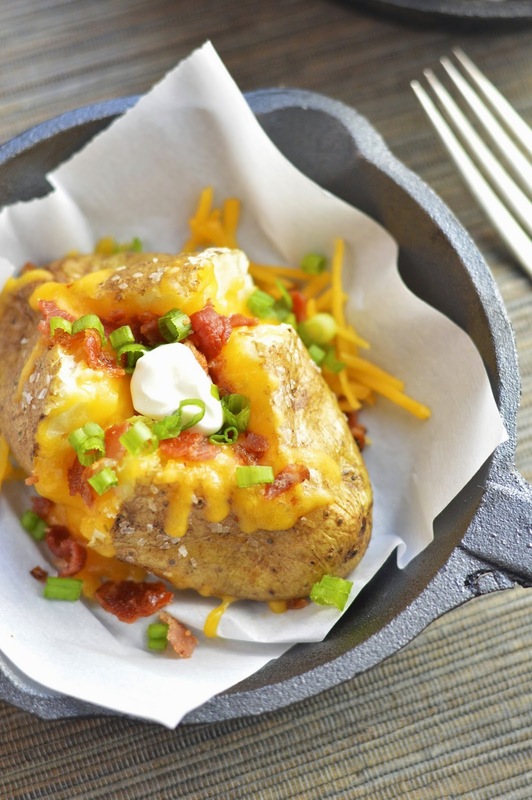 I know that you all have either eaten or created your own loaded baked potato at some point in your life, but I decided to share this recipe since these potatoes have become an all time favorite dinner in our home. Plus I have a couple tricks up my sleeve that make them extra delicious. 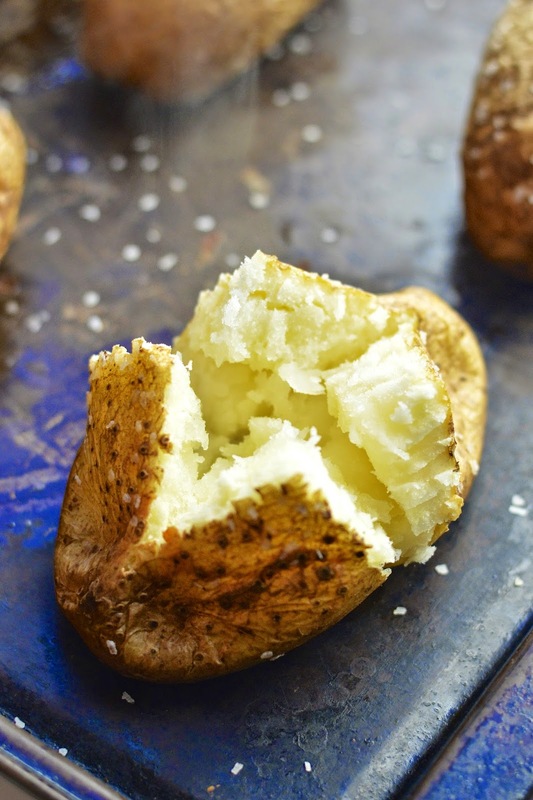 The first trick – rub the potatoes in a bit of olive oil and kosher salt so the potato skin gets super crispy. The second trick - as soon as they come out of the oven, pierce the potatoes with a fork in a cross shape. Press down on the four sections with index fingers and thumbs until the potato flesh is nicely exposed. If the potatoes are too hot, use a kitchen towel. Exposing the flesh quickly releases the heat and keeps the skin from getting soggy. 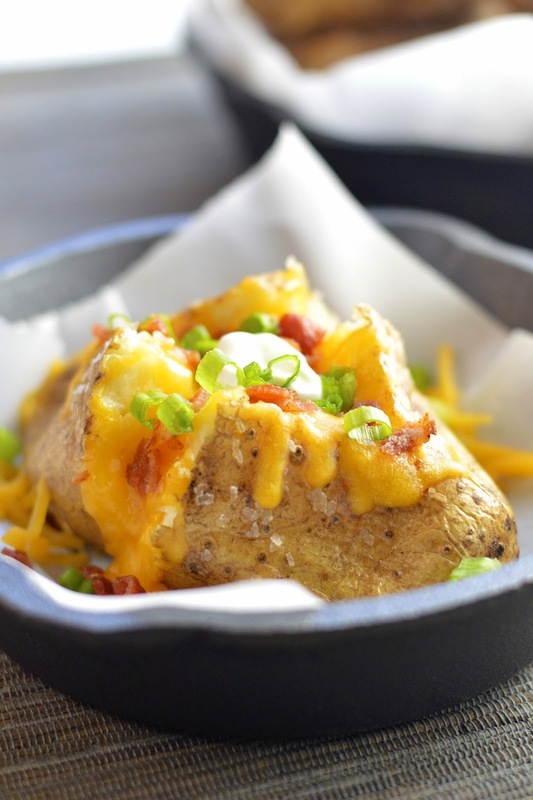 I don’t know why potato, cheese, bacon, sour cream and green onion are a perfectly magical combination, but they are. These make a super easy dinner (or side dish) and I just wanted to kind of remind you that this recipe is simple and darn good! Preheat oven to 400 degrees F. Scrub potatoes clean and let dry. 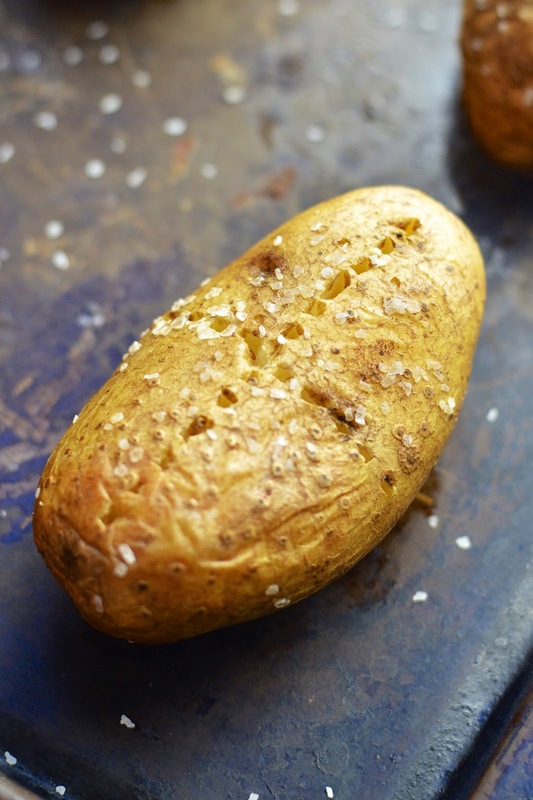 Rub potatoes with olive oil and kosher salt. Pierce each potato with a fork a few times. Set on a medium baking sheet and bake for 1 hour. The skin should be crispy and the the inside soft. When potatoes have cooled slightly, take a fork and pierce the potatoes to form a cross (as in picture). Place your index fingers and thumbs in each of the four sections and push down until the flesh is exposed. 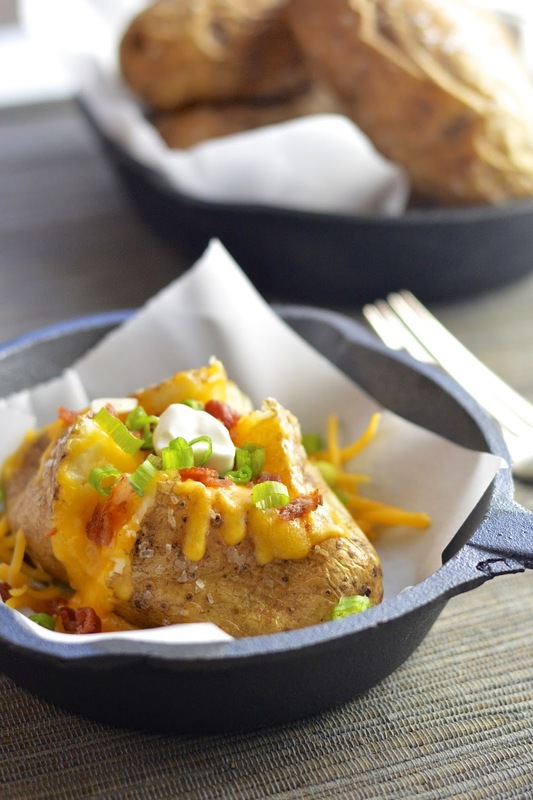 Evenly top each potato with cheese and bacon; return to the oven until cheese is completely melted. Sprinkle with green onions and a dollop of sour cream to taste.